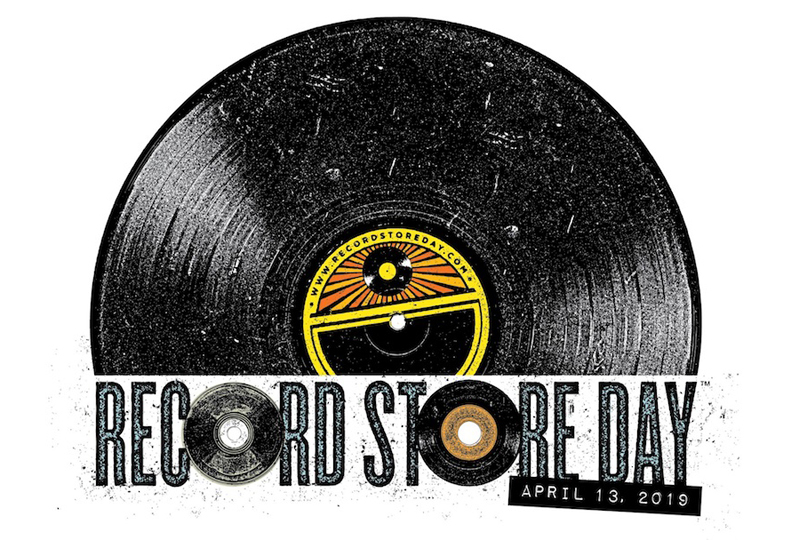 EDITORIAL COMMENT: Record Store Day 2019 – Was it worth it? …And so ends Record Store Day for another year. As with previous events, we enjoyed the build up more than the event itself. There’s a pleasure in perusing the list of releases, wondering if any of your favourite bands will issue a must-have coloured vinyl LP, or keeping your ear to the ground for oddities that might even be too obscure or limited to make the main list. We’ve enjoyed sharing our top picks for the day with fans and readers…and as always, we’ve raised eyebrows and a wry smile at photos on social media of middle aged men who’ve abandoned their families to sit on a fishing stool under a blanket outside of their favourite stores at 6 AM. You’ve got to admire that kind of tenacity – especially on what turned out to be a particularly Arctic April, weather wise. 1977 saw a change on the UK music front as punk made a fairly grand entrance. It wasn’t the giant new broom that revisionists will have you believe, as disco and pop still had a strong grip and the prog rock bands remained a fixture in the album charts. Perhaps the greatest thing the punk movement brought was the idea that such energy could be used to create great three minute songs. In 1978, utilising the energies of punk and a firm grasp of radio friendly pop choruses, bands like Blondie and The Jam went from strength to strength. Right up to the 1980s, things were fairly simple as a music fan. Your favourite bands released singles and albums and, as a loyal fan, you bought them knowing you’d kept to your end of the bargain. Sometimes singles weren’t part of albums and in that case you got something extra. Things started to change in the 1980s when the picture disc started to make regular appearances, thus meaning an occasional extra purchase. Labels like ZTT (run by business-minded Trevor Horn and Paul Morley) were quick to capitalise on marketing strategies – with bands like Frankie Goes To Hollywood, they made sure that different formats had different mixes and different edits. In the case of the fledgling cassette single, they even went an extra step by including unreleased bits and pieces from the cutting room floor, often to fans’ bemusement and eventual delight. Not everyone was as keen to play the game. Towards the end of the decade, Morrissey – in a spiteful lyrical snide against his then record company’s repackaging of Smiths material – gave us the lyrical legend “reissue, reissue, repackage…re-evaluate the songs, extra track and a tacky badge”. Some bands stuck rigidly to the old model of single release followed by album…and then a couple more singles (often with something extra on the b-side, sure; but once that was done, you knew that was it, at least until the next outpouring of new material in a couple of years). By the mid-90s, albums would occasionally appear as special editions. This usually involved a bonus disc containing a handful of extra songs (or in the case of The Beautiful South’s excellent ‘Carry On Up the Charts’ anthology, a whole disc of hard to find b-sides) or live material. Another easy choice for the consumer: you chose to buy either the standard release or fork out a few extra quid for that bonus disc – job done, everybody happy. Bon Jovi’s ‘Keep The Faith’ was among the first to mark a shifting tide towards fan-testing, record company greed when the special edition appeared months after the original album’s release. This staggered release ensured almost everyone had purchased ‘Keep The Faith’ already…but would they buy it again? Of course they would – if not everyone, then at least a good proportion of the die-hards would want that extra material. Why wouldn’t they? The floodgates were open. BREE SHARP – More B.S. A few years ago, I picked up Bree Sharp’s debut album ‘A Cheap And Evil Girl’ on a whim. I’d not heard a note of it, but it was dirt cheap and allegedly both Bob Dylan and Elvis Costello had said they were fans, so I figured I ought to hear it. As it turned out, the album was good, alternative-rock singer-songwriter stuff. Bree’s voice may have been everyone’s cup of tea, being rather edgy…almost exactly like Jepp (about whom you’ll find next to nothing on the net – if anybody can help, send us an email! ), but generally it was a solid debut. This, her sophomore effort, (minus the title for its Japanese release) kind of takes up the baton where ‘Cheap…’ left off. There’s very little difference in the tone and as before, there are obvious stand out cuts, some solid moments and a couple of absolute clunkers. Of songs I’d rather forget, the cover of Don Henley’s ‘Boys Of Summer’ is misjudged and doesn’t really suit Bree’s vocal style at all. A definite skipper… ‘Sleep Forever’ also grates a little, as the hooks aren’t that obvious and the drum pattern isn’t so inspiring. Since that closes the album, it’s easy enough to turn off the CD early!‘Lazy Afternoon’ is very chorus driven and the backing vocals prepare the listener for what you think is going to be a killer chorus and then somehow, it falls a little flat. It’s not unpleasant, but it feels like filler. With the album’s weak tracks out of the way, what of the rest? ‘Everything Feels Wrong’ has a big chorus though, so it follows ‘Lazy Afternoon’ very well. Like a fuzzy-rock Sheryl Crow, complete with between-verse ‘doo doo doo’ moments, this was very much meant for radio play. It’s the best track here, hands down. ‘Dirty Magazine’ is this album’s oddity. Musically, it’s at odds with the pop-rock style – it’s got a twangy rock ‘n’ roll edge, although it’s not at all rock ‘n’ roll. It has an old fashioned country twang too, but there’s no way you’d ever call it country…and the lyrics may hint at the edgier side of Bree’s debut, but somehow, it doesn’t quite work. ‘Morning In A Bar’ is gentler all round, more atmospheric and sounds like the album’s hangover cure – probably quite deliberately – although as penultimate track, it feels misplaced, as it’s more of a closing statement. ‘Galaxy Song’ – nursery rhyme la-la’s aside – represents the kind of thing Bree is best at. It’s mid paced, semi-acoustic and hints at KT Tunstall, although tougher sounding and recorded a few years before KT hit the big time. ‘The Last Of Me’ is also a high point – a song which takes typical post-break up themes and looks for strength, presents the listener with more semi-acoustic goodness. On the strength of this track alone, I’d like to know whether Bree has had much radio play in the US, aside from her debut’s ode to wanting David Duchovny. It’d be a shame if not, since she’s clearly written better, less throwaway songs. Overall, ‘More B.S.’ is actually pretty decent. Maybe I only think of it as being not quite as good as the debut purely because ‘The Boys Of Summer’ makes me cringe. …And there’s nothing quite as edgy here as ‘Gutter Mouth’ or ‘Cheap And Evil Girl’. But then, as much as I like it, Bree’s debut was never perfect.